We yarn bombed our Christmas tree! It took every tiny elf in our house (the children), but we did it. Red Heart sent us five huge boxes of yarn and we went crazy. 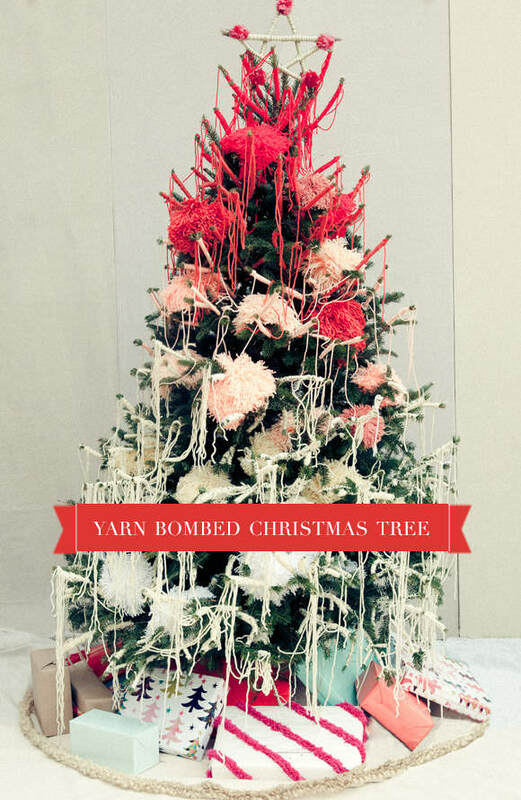 We spun, wound, draped, and totally bombed the tree with sixty second pom poms. Everyone had a total blast and it just may be our favorite tree ever. 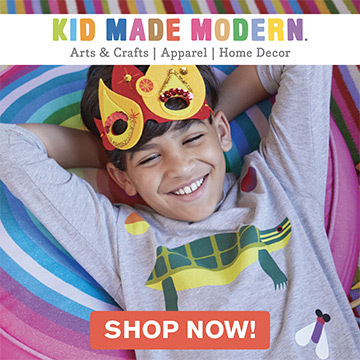 You and your little ones can make one, too! Once you’ve selected the yarn that you want to use, pull everyone together, grab a branch, and start winding! Don’t worry if needles stick out here and there, just keep winding and finding your own style. This is a no fail project – every branch will be a unique little work of art with it’s own personality. Your tree will be looking pretty good by now, but it’s still missing one key ingredient… Pom-poms! You’ll need quite a few to fill the tree, but this will not take as long as you think. Simply follow our sixty second giant pom-pom tutorial and you’ll have them ready in no time at all. Again, there’s no right or wrong way to do this. Just let the kids go for it and have some fun! Step back and marvel at the masterpiece you and your family created together. Now you all share a wonderful memory that will last a lifetime. 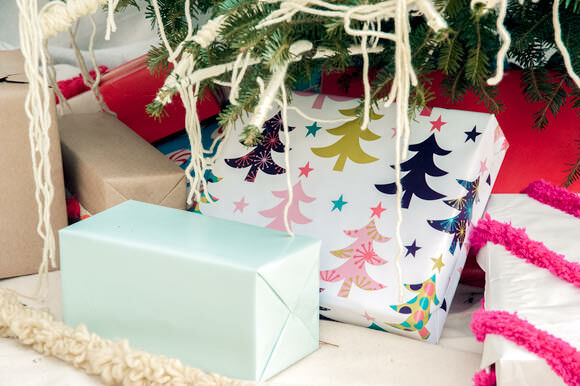 Have a merry, fun-filled, crafty & colorful Christmas! I love it and first saw this on Pinterest. You all did a wonderful job. I like how it has an ombra effect of red fading to white. Beautiful. Ombre+spun+dipped+splattered + bombed! We really did have a blast! Super cute & fun! Im sure this was a blast to make. Oh my goodness……this is AMAZING! 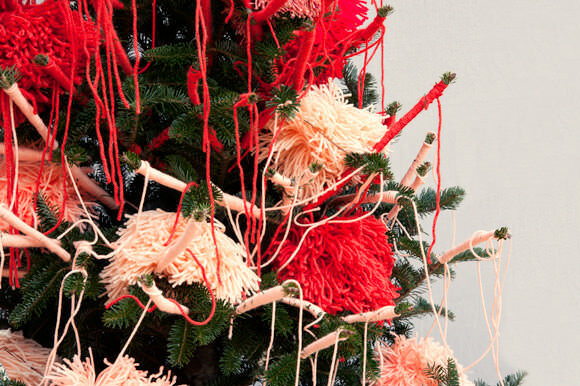 I love this Rachel…I’ve used pom poms on trees before but never like this! Inspiring! WHOA! This looks like something out of Doctor Seuss!